From 1911-31, Canada issued its "Admiral" series - handsome stamps picturing George V in a naval uniform. Due to this issue's large number of formats and varieties, there are many specialists in this issue among among Canadian collectors, similar to Washington/Franklin fanatics in the U.S.. 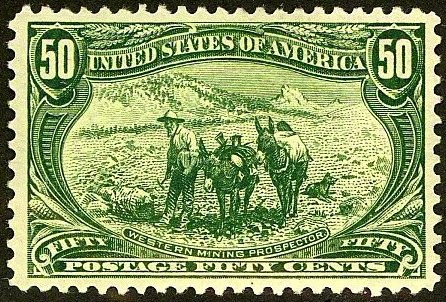 In 1924, the three low values of the set were issued imperforate. 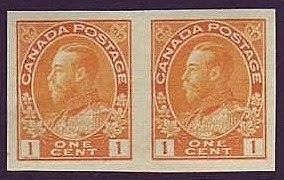 50,000 of each of the 1c and 2c, and 100,000 of the 3c were issued - low printings for Canadian stamps. Scott '14 prices the set unused at $87.50 ($162.50 for NH) and as a set of pairs - $212.50 (397.50).